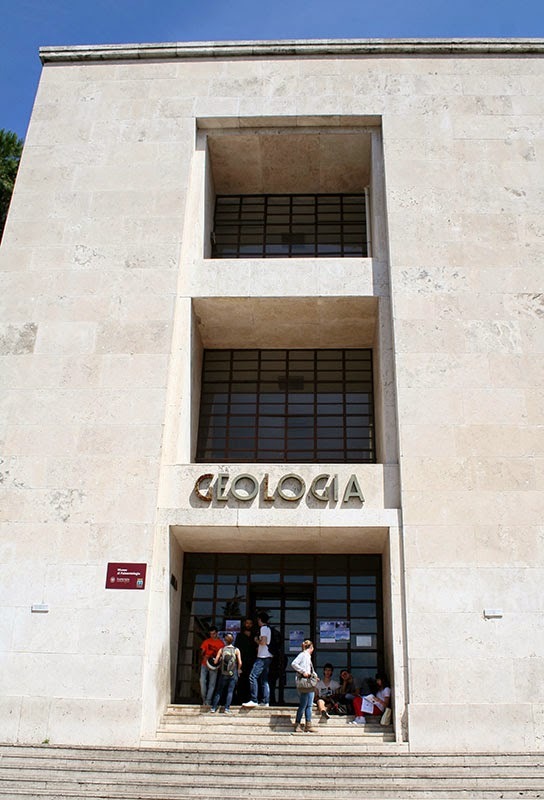 Here is a picture of a pelecypod fossil housed in a display case at the Geologia building located on the campus of Sapienza University of Rome. The case can be found on the second floor of the building. 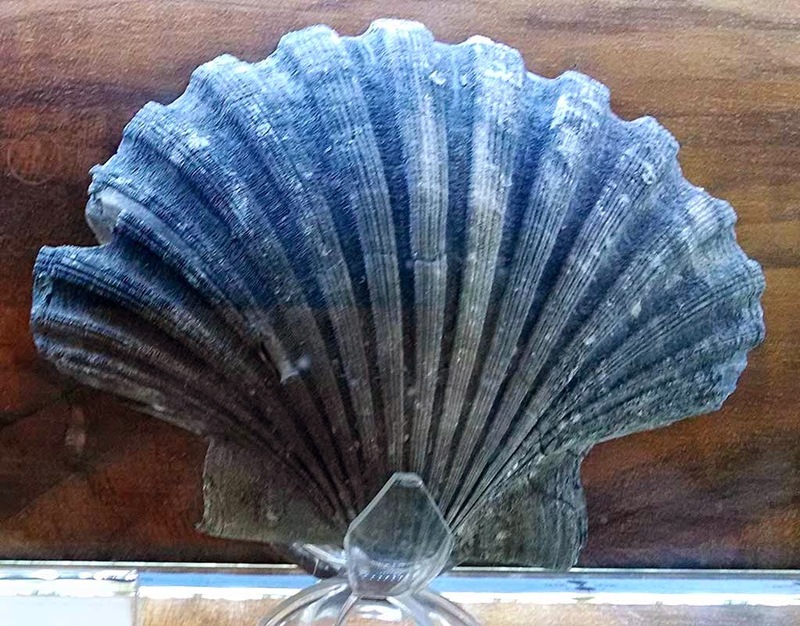 The fossil is called Pecten jacobaeus and lived during the Pliocene Period. The fossil was found in Roman countryside. The university was founded in 1303 by Pope Boniface VIII. In 1870, it became a public university for the state of Italy.